In June, the U.S. House of Representatives rejected a five-year, $500 billion dollar farm bill. While the federal farm bill has traditionally been a bipartisan endeavor and has addressed food stamp spending in addition to farm subsidies, it ran into problems this year and ultimately resulted in an embarrassment to the Republican leadership, which backed the bill. Many Republicans objected to the $80 billion in spending on the federal food stamp program that has exploded in size in the last five years. Many Democrats, in contrast, opposed the bill because it implemented slight cuts to the food stamp program. In addition, many members of both parties are increasingly critical of farm subsidies, viewing them as inefficient, or alternatively, as special interest welfare. The final vote was 195-234. Most of the 62 Republicans who voted against the bill are first or second-term members (more than 45 percent of the Republicans in the House are freshmen or sophomores). The willingness of junior Republican House members to defy their party’s leadership on the farm bill is enough to raise eyebrows, but it may be a precursor to an even bigger spat in the near future. After the August recess, the House will take up the immigration bill the Senate passed earlier this year. The Republican establishment is hopeful that an immigration reform bill can pass, which it believes would help the party’s prospects with Hispanic voters. Opposition to the bill, however, runs high in many Republican districts. Because of gerrymandering and incumbent advantages, many Republican congressmen are elected from conservative districts. Citizens in these districts do not see eye to eye with the Republican leadership on a variety of issues, including immigration. The willingness of the junior Republicans to defy their leadership suggests that they are more concerned about a primary challenge than a general election challenge in 2014. For more on Joe B. Garza, visit some of his other work online. Being a lawyer in Texas like Joe B Garza means that you are one of the top earning cliques in the State, and irrespective of the area of specialization, you will be earning pretty much out of your career. Nonetheless, rising to the top in this career is not always as simple as it sounds. It needs some dedication as well as being a member at Texas Lawyers and the Texas State Bar Association. As it has become evident, being a member at Texas Lawyers and the Texas State Bar Association is very beneficial to the lawyers and attorneys especially during their entry into this top-profile career. To start with, after becoming a member at these organization bars, one gets an opportunity to make presentations in court under the name of the bar. With such a provision, even the lawyers and attorneys making new entry into courts get an opportunity to learn and advance their skills. Secondly, Texas Lawyers and the Texas State Bar Association paves way for other benefits which are vital in one's day to day life. For instance, one can get a wide range of insurance covers as well as pension schemes if he or she is a recognized member of these Texas Bars and organizations. If one is not under such organizations, getting such policies may be more expensive and they may as well have no feature in pension schemes program after they retire from their jobs. Thirdly, legal professionals such as Texas Lawyer Joe B Garza and the Texas State Bar Association give members an opportunity to interact and give back to the community. This is majorly facilitated by workshops which bring together students or general public and the lawyers of the Texas Bar organization. Through such interactions, the lawyers get an opportunity through which they can become well known and get more referrals from people who have interacted with them during the workshop programs. The organization bar also strives to make its members become competent in this career and people who add great value to the lives of the people that they serve. To facilitate this, the bars often organize learning and sharing seminars where the members get to exchange ideas related to the law. Guest speakers who have many years of experience in law are also invited to share what they have learnt over the years with the lawyers and attorneys making new entry into this field. However, becoming a member at Texas Lawyers and the Texas State Bar Association may require spending a little during registration (read the guide by Texas Lawyer Joe B Garza on Getting certified by the TBA.rog) In most cases, a greater part of the registration fee that is charged during the registration process is used to suffice the cost involved in the e registration process at the high court. Just as one would expect, every member at Texas Lawyers and the Texas State Bar Association needs to be a certified lawyer in the State and therefore such registration and filing at the high court is inevitable. All in all, the organization bar makes the registration process at the high court very easy since the members are eased the burden of going to the assessment individually. Texas state bar association refers to an agency of the judiciary that is under the directorial control of the supreme court of Texas. Its main task is to help the Texas Supreme Court in watching over all the lawyers that have been accredited to practice law in Texas. This basically means that Texas attorneys have to be licensed. Here are some of the reasons why Texas lawyers need to be certified by the Texas State Bar Association, as explained by prominent Dallas attorney Joseph Garza. The certification enables the Texas State Bar to keep track of the certified lawyer; this implies that when the Texas lawyer has been licensed to practice law in Texas, the association will be able to monitor whether or not that particular attorney practices his or her profession in accordance with the stipulated regulations. It is imperative that the Texas lawyers offer their services to their respective clients in a professional manner because this creates a good image to the entire lawyers' fraternity. It helps in instilling discipline and enhancing the code of conduct; the Texas State Bar enables the Texas lawyer to practice their trade according to the encoded guiding principles that govern and promote work ethics. Moral values are vital in any work setting and therefore, certification of Texas lawyers by the Texas State Bar Association is paramount since it helps in promoting moral principles. This is an important aspect of averting scandalous activities that such a lawyer might engage in since his or her license will be revoked thus making him or her unable to practice his occupation. Certification of the Texas lawyers by the Texas state bar society facilitates the clients' acquisition of the respective lawyer. This is because the profile of each licensed lawyer is given to the specific client who is need of the lawyer to represent him or her in a particular court case. It makes it easier for the client to obtain a qualified lawyer since the client will be able to assess the credentials and ultimately choose the ideal attorney to represent him or her. 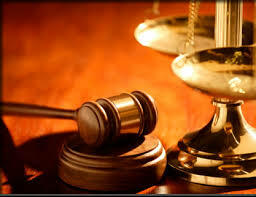 It is the substantiation that any Texas attorney can provide to demonstrate he or she is truly qualified. It is very difficult for people to believe that you are a qualified lawyer who can competitively represent a client in a lawsuit in Texas if you have not been certified by the Texas state bar association. When you have this certification however, you will be able to conceitedly proclaim that you hold a valued description of a lawyer with needed competence to represent a client in a lawsuit. Another reason Texas lawyers should be certified by the Texas state bar society is because the certification enables the lawyer to be admitted to represent a client in the court. When you are lawyer in Texas, you can only be allowed to represent a client in any court proceeding when you have been licensed by this particular law society. Otherwise, it would be impossible for you as a lawyer to practice your trade in Texas. And yet another reason is because it enables the certified lawyers to consult further from his or her colleagues on other issues that might be challenging to him or her in the process of discharging his or her duties. You can read more helpful articles by Dallas attorney Joseph Garza here: http://www.joebgarza.info/2013/05/how-tba-lawyer-like-attorney-joe-b.html. Dallas Texas is a great and ideal state with an exceptional set of laws. Attorneys in Dallas are obliged to meet specified requirements to make certain that they are certified and authorized to practice in Texas Dallas. Dallas has varied legal groups and corporations which practice scores of distinct spheres of the law over and above regions of Texas Dallas. 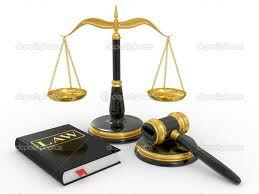 Certification is an intended program for the attorneys and paralegals living in Texas Dallas. Primary certification is applicable for a period of 5 years. To continue being certified, an attorney is required to submit an application for recertification in the entire 5 years and meet adequate participation, colleague appraisals and ongoing legal education requirements for the area of expertise. • Been certified to provide legal services for the last 5 years. • Dedicated to an area of expertise for the last 3 years. • Dealt with a couple of issues in the legal fields to establish skill and participation. • Attended ongoing seminar training frequently to keep the legal teaching current. • Been rated by fellow attorneys or judges. • Qualified in frequent written examinations. • Have at any rate five years of familiarity as an attorney preferably 3 years in Dallas. • Must be working under direction of a certified attorney conducting business in Dallas. • Have at any rate half of the attorney roles focused in areas of expertise. 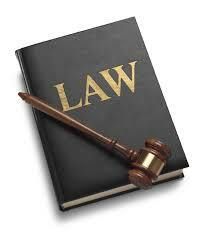 • Passed evaluation examinations set by the legal association. At the end of the day, in order for you to become an attorney in Dallas certified by the Texas State Bar Association like Lawyer Joseph B Garza, you are required to be screened to make certain that you are competent enough to provide skillful and valuable legal services to the public. All Dallas Attorneys must have a law degree from an accredited institution accepted by the Texas Board of Law Examiners and Texas State Bar Association. A potential attorney is required to successfully qualify a background assessment test that will officially state that he or she is of noble moral character and is suitable to practice law. Prospective attorneys are obliged to qualify both the Texas State Bar Association Examination in addition to the Multistate Professional Responsibility Examination (MPRE). Every attorney is required to register with the Texas State Bar Association and pay the set fee to become certified. This is a process that ascertains that all the attorneys seeking to practice law in Texas are competent enough to serve the members of the public. 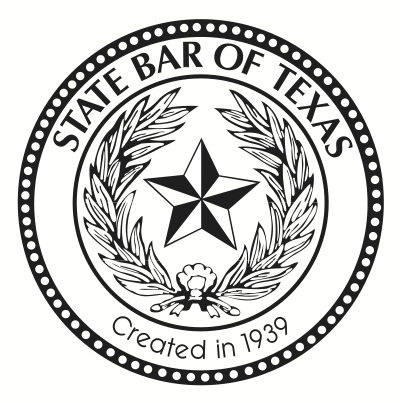 The Texas State Bar Association is a legal entity responsible for the discipline of all the attorneys in the state. It also takes charge of its attorney members as it provides legal education materials and classes, runs mentoring services for its members and certifies attorneys of exceptional competence in different areas of law. It is also committed to serve and protect the interests of the public and its members from any form of injustice from their legal representatives. 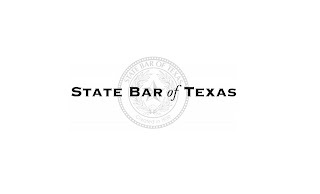 Membership to Texas State Bar is mandatory for one to practice law in Texas. 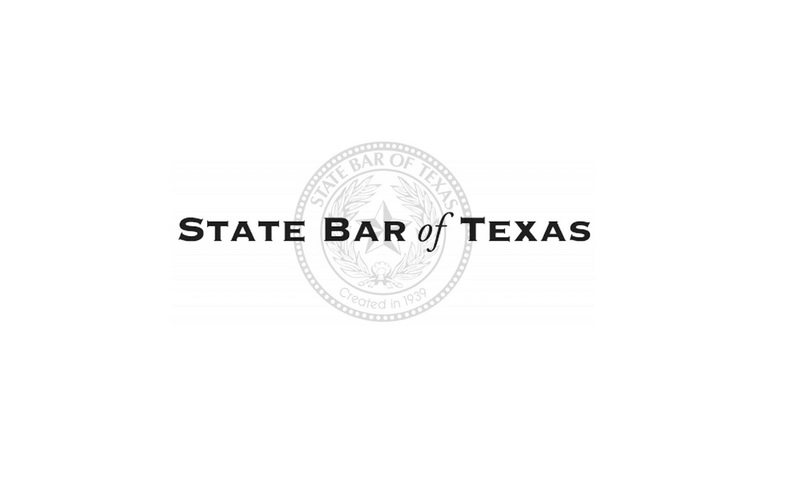 Here are the steps on how to become certified by the Texas State Bar Association. One must undertake a State Bar-approved course for guardianship whereupon he/she completes an affidavit which must be notarized. The lawyer must then mail his/her notarized affidavit to the MCLE department. He is then added to the database of lawyers and the certificates are thereafter mailed to him. Certification is done for the initial 2 year period consecutively thereafter one is certified for 4 years.